The Fusion returns an impressive 38 mpg combined... and it can chase down bad guys. Following the retirement of the Ford Crown Victoria in 2011, the Ford Taurus-based Police Interceptor Sedan, and Explorer-based Police Interceptor Utility quickly cemented themselves as go-to options for many police forces around the country. And today, Ford is further expanding its range with the recently introduced Police Responder Hybrid Sedan, and the new F-150 Police Responder – both of which are now pursuit rated. Part of the 32-lap pursuit simulation at Grattan Raceway tested features like overall durability, including powertrain, suspension, brake, and tire systems. 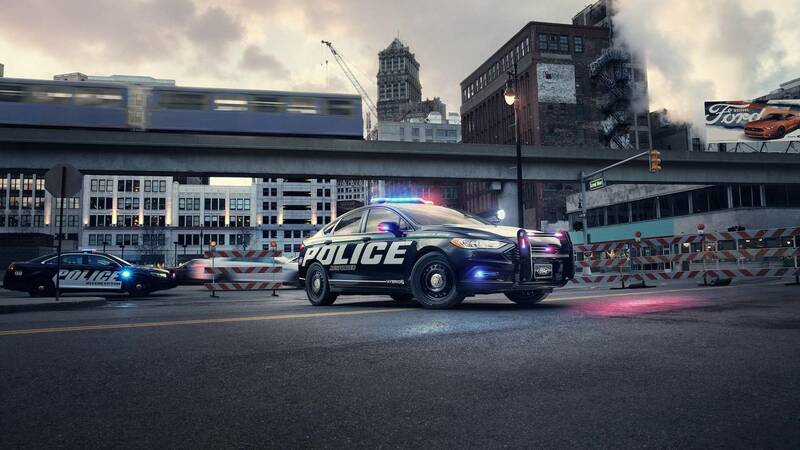 The Police Responder Hybrid Sedan, which was first announced back in April, is expected to return an EPA-estimated mile-per-gallon rating of 40 mpg city, 36 mpg highway, and 38 mpg combined. That number bests the outgoing Crown Victoria’s 16 mpg city, 24 mpg highway and 19 mpg combined rating. And it’s faster too. From a standstill, the Fusion Hybrid outguns the outgoing Crown Vic to 100 miles per hour (160 kilometers per hour), recording a time of 23.1 seconds compared to the Crown Vic, which did it in 24.4 seconds. It's no Ford GT, granted, but it's a respectable performance for a Responder vehicle nonetheless. 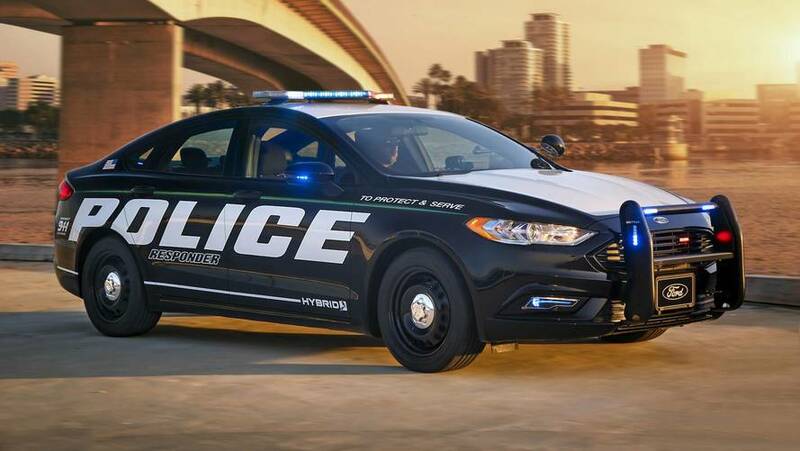 "Our new Fusion-based Police Responder Hybrid Sedan is quicker than our legendary V8-powered Crown Victoria Police Interceptor, while offering fuel efficiency that’s estimated to be double that," said Stephen Tyler, Ford police brand marketing manager. 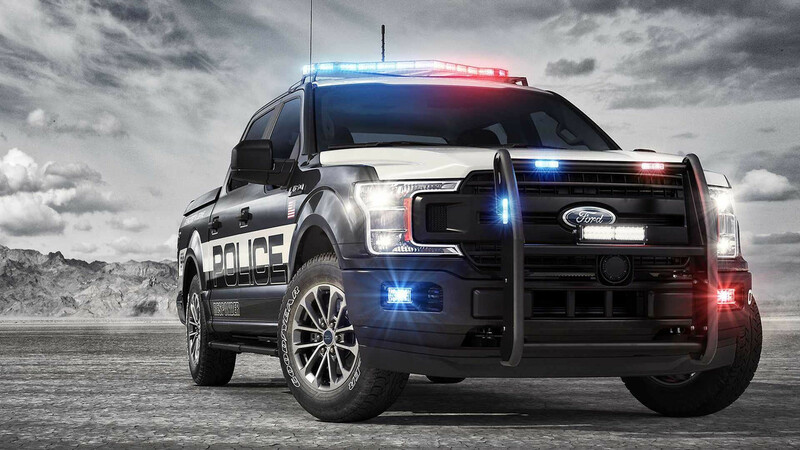 "Plus, our new F-150 Police Responder offers police customers both on-road pursuit and off-road capability." If hybrids aren’t your thing, agencies can still opt for naturally aspirated gas-powered versions of the many Ford police vehicles. Both the Interceptor Sedan and Utility, alongside the new F-150 Responder, come powered by a range of gas engines, including the 3.5-liter EcoBoost V6. 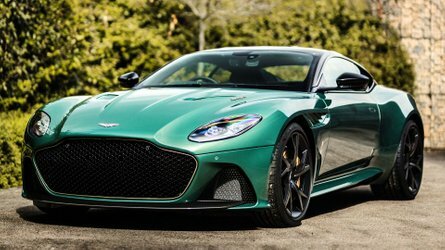 The EcoBoost-powered Interceptor Sedan remains the fastest in the range with a 0-60 mph (96 kmh) time of just 5.6 seconds, but the F-150 delivers a respectable 375 horsepower (279 kilowatts) and 470 pound-feet (637 Newton-meters) of torque, and paired to a new 10-speed automatic, is able to sprint to 60 mph (96 kmh) sprint of just 6.3 seconds. 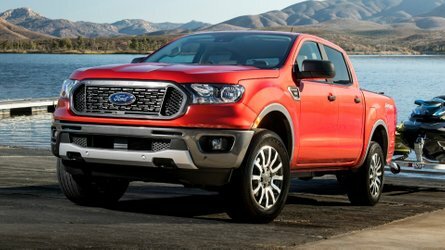 Following the reveal earlier this year of two all-new police vehicles – the 2019 Ford Police Responder Hybrid Sedan and the 2018 Ford F-150 Police Responder – testing by the Michigan State Police confirms Ford is first to offer law enforcement agencies a pursuit-rated hybrid police car and full-size pickup truck. From local patrolling to on-road pursuit to off-road capability, law enforcement agencies nationwide have said they need a wider variety of pursuit-rated vehicles. Pursuit ratings are determined by vehicle manufacturers. Ford then uses a third party to validate its claims. 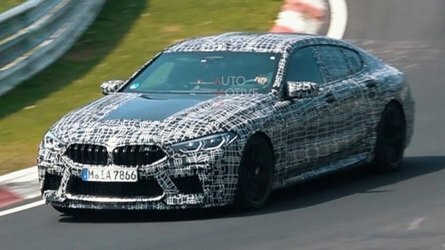 So last month, in Michigan State Police testing – which includes a grueling 32-lap pursuit simulation at Grattan Raceway – Ford’s pursuit rating for both vehicles was confirmed. The simulation tests overall vehicle durability, including powertrain, suspension, brake and tire systems. In acceleration testing, preliminary results show the new Ford Police Responder Hybrid Sedan bested the once-ubiquitous Crown Victoria by more than one second in 0-100 mph performance – 23.1 seconds versus 24.4 seconds. The Crown Vic had an EPA-estimated rating of 16 mpg city, 24 mpg highway and 19 mpg combined. Ford’s new Police Responder Hybrid Sedan has a projected EPA-estimated rating of 40 mpg city, 36 mpg highway and 38 mpg combined – making it twice as efficient as the Crown Vic. Final EPA-estimated ratings come at a later date. Not only does the Ford Police Interceptor Sedan retain its title for the sixth straight year as overall quickest police vehicle in 0-60 mph testing, preliminary results validate the Ford Police Interceptor SUV as quickest in 0-60 as well – a tie with the new F-150 Police Responder pickup. All three of these pursuit-rated vehicles are powered by Ford’s now-legendary 3.5-liter EcoBoost® V6 engine. 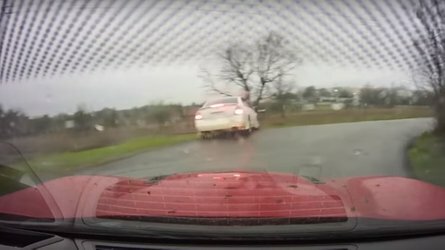 Police Interceptor Sedan did the 0-60 run in 5.6 seconds, while Police Interceptor Utility and the F-150 Police Responder needed only 6.3 seconds to hit 60 mph. Fastest overall lap and fastest average lap honors once again go to the Ford Police Interceptor Sedan. Ford’s efforts to meet the needs of its police customers continue with the addition of the Police Responder Hybrid Sedan – a remarkably efficient pursuit-rated choice for law enforcement agencies nationwide. For those who require both on-road pursuit plus off-road capability, the new F-150 Police Responder adds a new dimension to police fleets across the country. For more information on Ford police vehicles, visit http://www.fleet.ford.com/showroom/police-vehicles/.